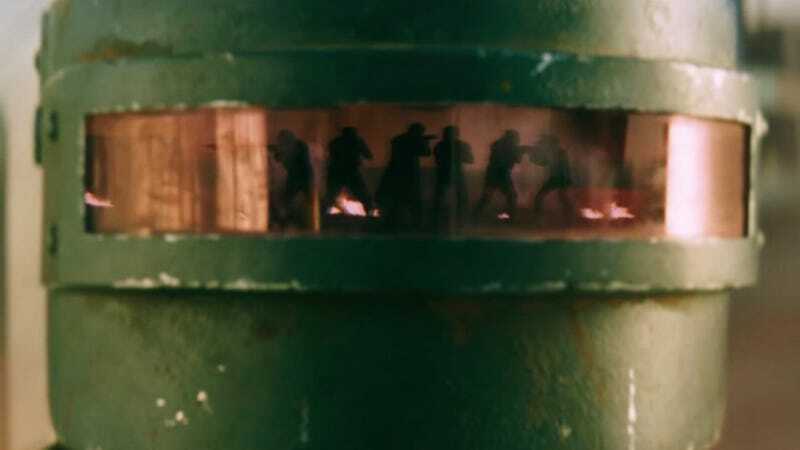 A shot from Jordan Vogt-Roberts’ PUBG short film. 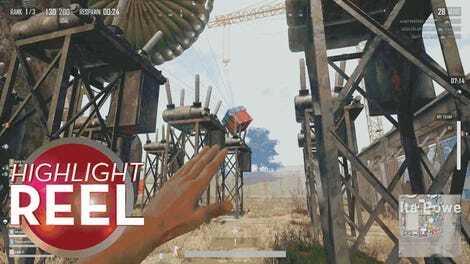 PUBG, otherwise known as Playerunknown’s Battlegrounds, is the game that started a brand new trend in video games. It turned massive multiplayer battle royales, where up to 100 people get put on the same map at the same time and try to kill each other, into big business. After PUBG came Fortnite, then Call of Duty got on board, and now it PUBG has its own live-action movie. Kind of. In celebration of the game finally coming to PlayStation 4, director Jordan Vogt-Roberts (Kong: Skull Island) called a few of his friends (Straight Outta Compton’s Jason Mitchell and Love Simon’s Nick Robinson) to star in a PUBG short film. He also recruited Rob Alonzo, the stunt coordinator of Deadpool and Mission: Impossible Ghost Protocol, as well as cinematography Chung-hoon Chung, who shot Oldboy and It, to create a manic, awesome, two-minute extravaganza. Here it is. Oh right. Vogt-Roberts is the same filmmaker who has long been attached to make Metal Gear Solid into a feature but has run into hurdle after hurdle. He also did this Destiny 2 short. There’s no doubt he’s got an eye for taking video games and making them movies. Can we please green light a Metal Gear Solid movie for crying out loud? Or at least turn this two minutes into 90?